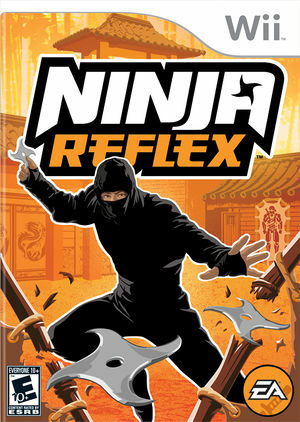 Ninja Reflex uses a series of martial arts challenges to test gamers' reflexes and measure their reaction times with millisecond precision. As players develop their ninja skills, they will strive to earn a black belt from their own personal Sensei. Players can also compete for ninja supremacy against their friends in fierce multiplayer battles with up to four players. The graph below charts the compatibility with Ninja Reflex since Dolphin's 2.0 release, listing revisions only where a compatibility change occurred. This page was last edited on 13 January 2018, at 09:26.